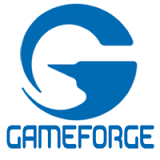 With more than 20 titles and over 450 million registered players, Gameforge is the leading provider of free-to-play massively multiplayer online games (MMOs) in the western hemisphere. Headquartered in Karlsruhe, Germany, the group offers its online games in more than 75 countries. The portfolio encompasses numerous well-known game industry brands, including client-based titles such as Orcs Must Die! Unchained, HEX: Shards of Fate, prized role-playing game AION Free-to-Play and TERA as well as Europe’s most successful MMO, Metin2. In future, competitive RTS Dropzone and action-laden Anime MMORPG SoulWorker will add to the collection. Popular browser-based games such as OGame and Ikariam complete their offering.